Make more prospects aware of your business and what it has to offer by putting the word out there. Some business owners seem to think that consumers will just “find” their website or their location. With the level of competition out there today, that is not going to happen. Sure, SOME of them will just find you, but in order to really knock your competitors out of the park, you need to write and distribute online press releases for your business on a consistent basis! Press releases allow you to keep the world up to date with what’s going on with your business; which is HUGE when it comes to managing your business’s reputation. More importantly, it reminds the world that your business exists in a sea of businesses crowding up the web. In fact, the more press releases you put out there, the better. There are multiple online sites that you can use just this purpose. Two of these sites to help you reel in the customers are Marketwire.com and PRWeb.com. Sites such as Marketwire promise to save you up to three hundred percent in cost, compared to other press release services. Here you not only save money on advertising, but you can reach local customers in your community quickly. Marketwire has many different options that will help you knockout the competition and is definitely a reliable source for distributing press releases. Another Press Release site to check out is PRWeb. According to their site, local business owners can attract customers fast. This site allows you to send a news release to your local community. 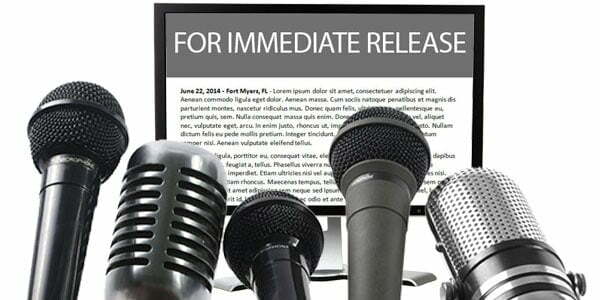 Press releases will allow you to build an online reputation for your business by telling everyone what you’re up to. Not only do they make your business more visible on the web, but they eventually help you convert prospects into paying customers.